Our customers spoke and we listened! 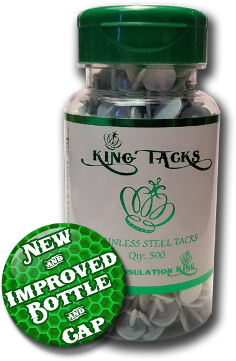 Introducing our New Packaging for King Tacks coming out in 2018! 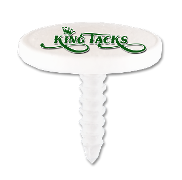 King Tacks are stainless steel annular serrated tacks with rounded heads. The entire tack is coated with an Oxford non-corrrosive white sealant which helps prevent rust and corrosion. The head is rounded to provide maximum comfort on the thumb during installation. 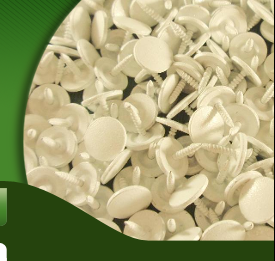 USES: King Tacks are used primarily as the closure system of PVC jacketing and fitting covers over pipe insulation. The sharpened point of the tack allows easy puncture of PVC jacketing and fittings up to .30 mil thickness. 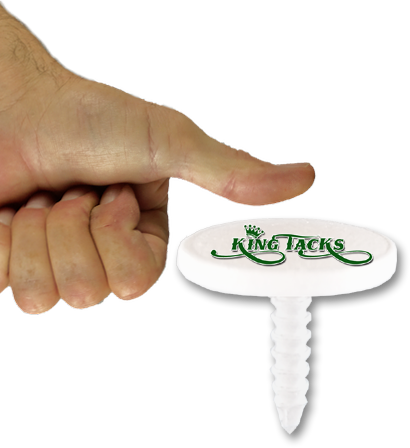 King Tacks have a unique annular serration which creates a superior hold of the materials. 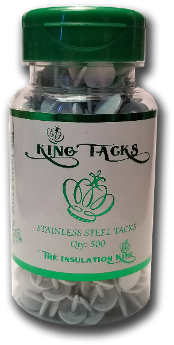 PACKAGING: King Tacks are packaged in bottles rather than the standard box packaging. The bottle for the King Tacks has a revolutionary snap top which provides easy access to the tacks and a secure closure. Each bottle of King Tacks contains 500 tacks.